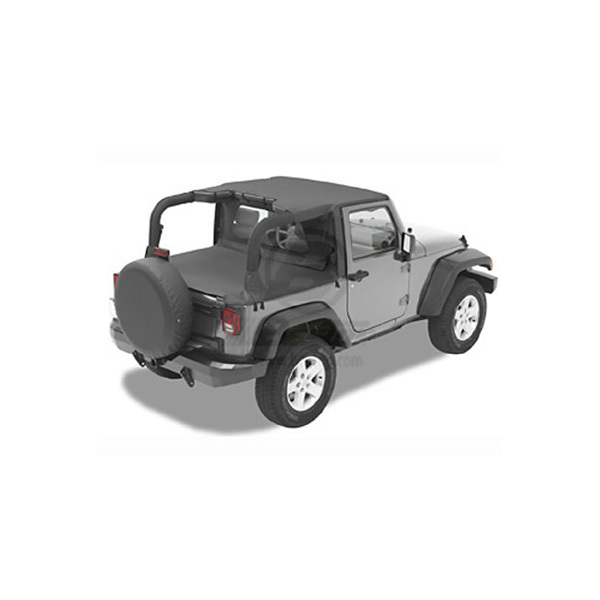 WINDJAMMER JK 2 DOOR - Jeep Parts Guy - All the Jeep Parts You Need! Driving with just a bikini wreaks havoc on your hair, clothes, and anything else that’s not tied down. The solution is a Bestop Windjammer. It cuts the wind out, so you arrive at your destination looking fresh and feeling energetic, not beat up the wind out, so you arrive at your destination looking fresh and feeling energetic, not beat up and haggard.